You are welcome to Saint Benedict’s during any of our worship times. 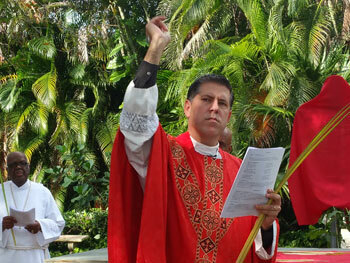 Father Albert typically celebrates all three services. After each worship service, gathering for fellowship is always welcome. Every Sunday morning, coffee is offered and once a month breakfast is served. Refreshments are often shared following the Saturday evening 6 PM. For your convenience, we offer a less formal worship service on Saturday evening. The service includes organ and vocal music led by a cantor. 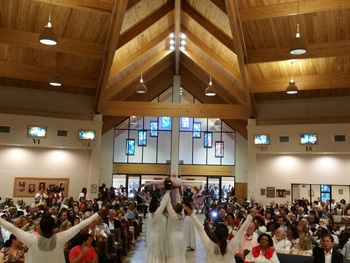 It is a full celebration of the Holy Eucharist Rite II. Traditional hymns are sung by the congregation. The Nursery Room is not available during this service but Children of all ages are welcome. Bring your pet to the 6 PM. Pets are always welcome at this service. Our 8 AM service is perfect for those who have other Sunday obligations. 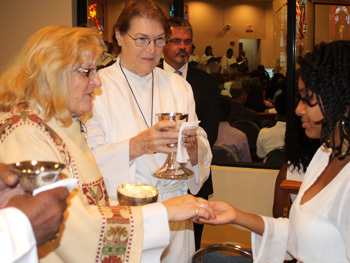 It is again a less formal service and is a full celebration of the Holy Eucharist Rite I. The service is celebrated with traditional organ music and hymns are sung by the congregation. The 10 AM service is our most traditional worship service. 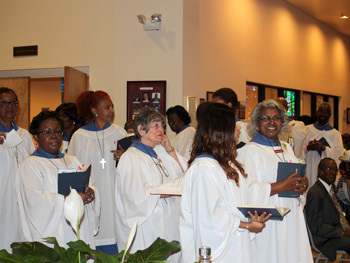 Organ music, the choir and traditional hymns are sung from both the Episcopal Hymnal and from Lift Every Voice and Sing II Hymnal. Children attending Sunday School during this service return to the Church in time to receive Holy Communion. Our Wednesday evening healing service offers a full celebration of the Holy Eucharist. Healing prayer is offered for all who attend and special prayer requests are also mentioned. This service is approximately 30 minutes long. If you are unable to attend the healing service, you are still welcomed to attend the Bible Study that follows. Children are always welcome at Saint Benedict’s. Our Sunday school classes for age 4 – High School are offered on Sundays during the 10 AM service. A Nursery School room is provided for children age 6 months through 4 years. The Saint Mary’s Chapel in the Church is also offered for families with children. This sound proof room offers a full view of the church where parents can fully participate in the ongoing service while having the freedom to tend to their children.